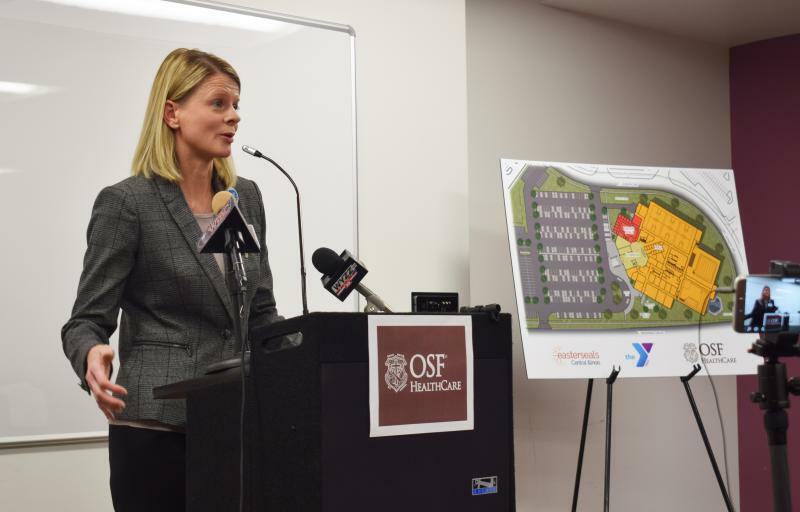 Lynn Fulton, president of OSF Healthcare St. Joseph Medical Center, at a news conference April 3, 2018, announcing the joint project with YMCA and Easterseals. The $4 million is a challenge gift, meaning the YMCA and Easterseals have to raise an additional $1.8 million by Dec. 31 to get the full amount. All that money will go toward construction of the new $16 million facility on East Washington Street on the OSF Healthcare St. Joseph Medical Center campus. "This family challenge gift is an enormous boost to our fundraising efforts. This is another local family that is dedicated to ensuring our communities have a world-class, accessible and suitable place for kids, families and seniors throughout our community," YMCA Executive Director and CEO B.J. Wilken said in a statement. The new YMCA-Easterseals facility, first announced in April, would include an indoor competitive pool and warm water therapy/recreational pool, a full-size gymnasium, health and wellness center, teen and senior program center, as well as consultation and therapy space for Easterseals families. 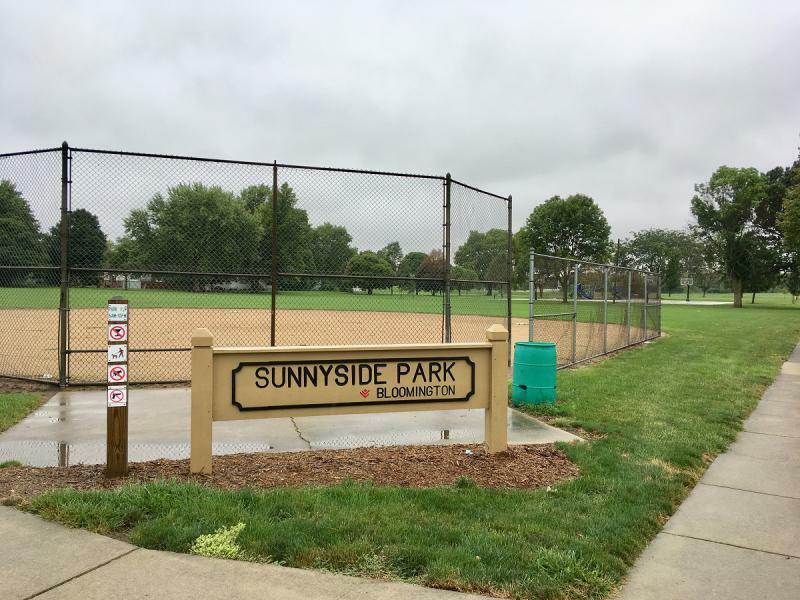 Construction will begin after the fundraising goal is met. Wilken said in April the targeted opening date was 2021. 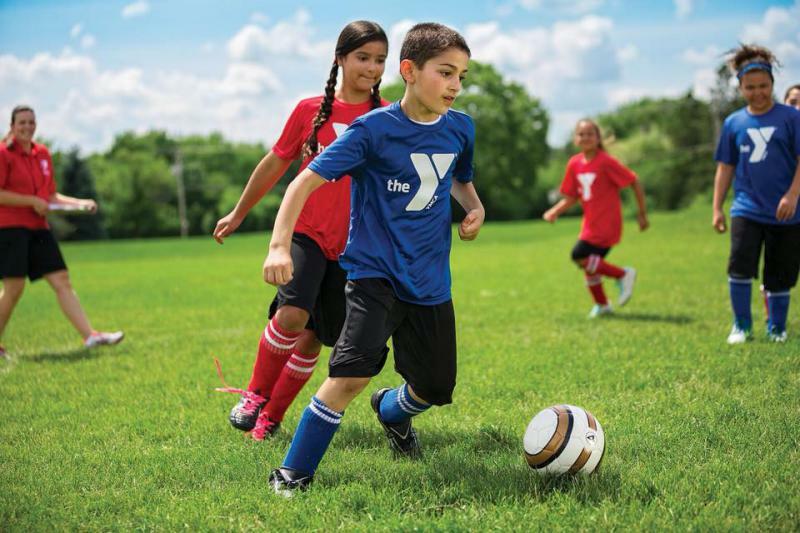 "I wish I could give you a specific date when we hope to start construction, but if our initial conversations are any indication, we are really excited by the level of vocal support especially for a partnership between the YMCA, Easterseals and OSF Healthcare," Wilken said. The YMCA is currently located in an aging building just south of downtown Bloomington.